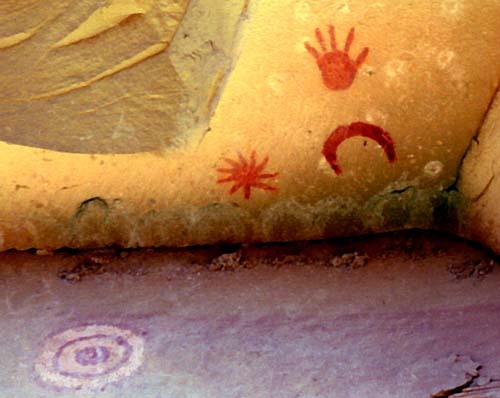 Some archaeoastronomers believe that this Native American pictograph in Chaco Canyon depicts the supernova of A.D. 1054. I believe that it represents Venus and the Crescent Moon. To see the complete section on Chaco Canyon go to Contentsand then to Archaeoastronomy.